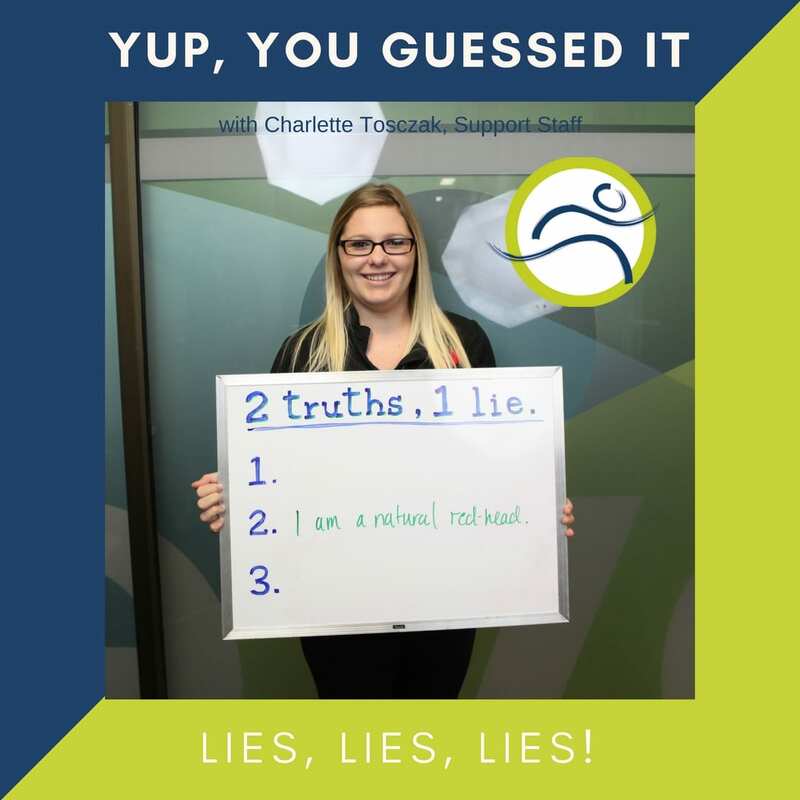 Leduc Physio - Physical Therapy and Massage Therapy ServicesClinic StaffCharlette’s Lie! She is naturally blonde, but tries fun new hair colors regularly! 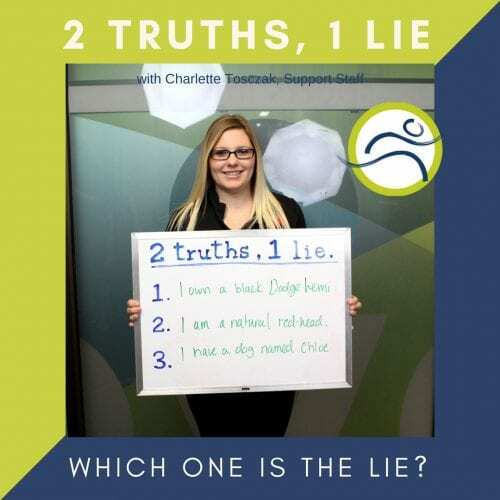 Charlette is always busy at Leduc Physio; from helping you book at the reception desk, doing reminder calls, organizing and attending events, as well as assisting the physiotherapists in the back! When she isn’t at the clinic she is usually sledding, playing with her puppy, or hanging out with her family! 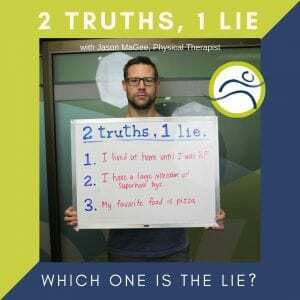 Try to GUESS Jason’s lie this month, see how well you know our staff!